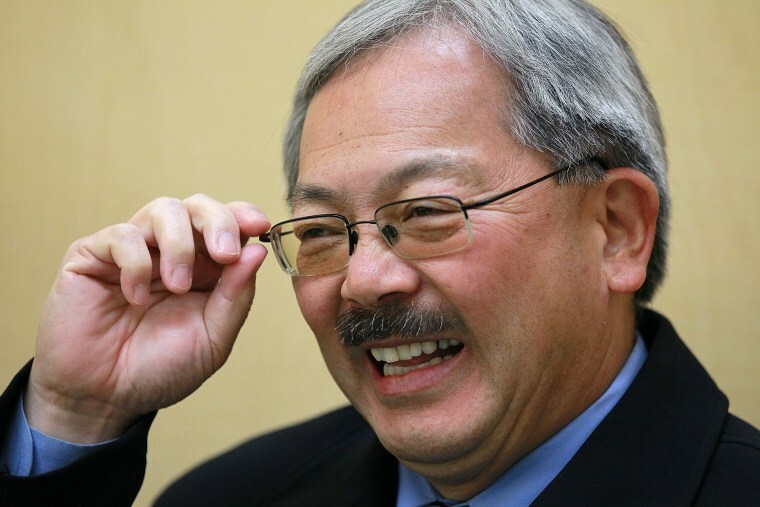 Edwin M. Lee, the first Asian-American mayor of San Francisco, died suddenly early Tuesday morning. He was 65. The city’s 43rd mayor, Lee died at 1:11 a.m. surrounded by family, friends, and colleagues, according to a statement from the mayor’s office. The cause of death was not immediately released. At a Tuesday news conference, Dr. Susan Ehrlich, CEO of Zuckerberg San Francisco General Hospital, said Lee arrived by ambulance shortly after 10 p.m. on Monday in critical condition. Staff attempted life-saving measures on him for several hours before he died, she said. Ehrlich said Lee’s family — which includes his wife, Anita, and two daughters, Brianna and Tania — had asked that no further medical information be shared at this time. The Rev. Norman Fong, executive director of the Chinatown Community Development Center (Chinatown CDC), told NBC News he was among those gathered at the hospital. Fong said he led a closing prayer for the mayor, whom he knew since the late ’70s. Condolences poured in for Lee, who was appointed mayor in January 2011 to finish the term of Gavin Newsom, who resigned to become California’s lieutenant governor. He was elected in November 2011 and again in 2015. San Francisco Board of Supervisors President London Breed, who is now acting mayor, said flags in San Francisco will fly half-staff for 30 days. Multiple transit agencies in the San Francisco Bay Area momentarily paused service Tuesday in his memory. A native of Seattle, Lee was the son of working-class immigrants of Chinese descent who grew up in public housing, Breed said at a news conference Tuesday. Lee’s mother was a seamstress, his father a veteran who died while Lee was a teenager. “They instilled in him a humility and selfless work ethic that he maintained throughout his entire life,” said Breed, who added that, like Lee, she too grew up in public housing. Lee graduated from Bowdoin College in 1974, which he attended on a scholarship, and from Boalt Hall School of Law at the University of California, Berkeley, in 1978, according to the mayor’s office website and Breed. Lee went on to work for San Francisco’s Asian Law Caucus, a legal and civil rights group now known as Asian Americans Advancing Justice-Asian law Caucus, from 1976 to 1989, according to a statement from the nonprofit. He began as a law clerk and later became a managing attorney, advocating for affordable housing and workers’ rights in the Bay Area. During his tenure, Lee started the Caucus Classic, a golf tournament to raise funds for the group. He extended that tradition after becoming mayor by spearheading the Mayor’s Cup, a benefit for local nonprofits, according to the Asian Law Caucus. Aarti Kohli, the group’s executive director, said they were all shocked and deeply saddened to learn of Lee’s death, adding that they are proud to call him an alumnus. After leaving the Asian Law Caucus, Lee became a whistleblower ordinance investigator, according to an online profile from the National Conference of Democratic Mayors. He later assumed a number of other roles in San Francisco, among them executive director of the Human Rights Commission, director of public works, and city administrator. Phil Chin, board chairman of the Chinatown Community Development Center, an advocacy group, called Lee a great partner for the last four decades. “As mayor, he also led the effort to convert the city’s troubled public housing into private nonprofit, and more responsive, housing management and stewardship,” Chin said in a statement. According to the Office of the Mayor, Lee set out policies during his tenure that created more than 140,000 jobs, added more homes to the housing market than any other mayor in San Francisco history, and funded infrastructure, parks and schools at record levels. U.S. Sen. Kamala Harris, D-Calif., a former San Francisco district attorney and California attorney general, said she was deeply saddened to hear of her friend’s death. “From his earliest days as a fair housing advocate, Ed was a tireless champion for San Franciscans and a public servant who tackled every challenge with modesty, civility and hard work,” Harris said in a statement. Democratic National Committee chair Tom Perez and Asian American Pacific Islander caucus chair Bel Leong-Hong said Lee was a man who dedicated his life to improving the lives of others and making San Francisco stronger. “He was a lifelong champion for affordable housing, and thanks to his fight to give workers the wages they deserve, San Francisco will move to a $15 minimum wage next year,” they said in a statement. Rep. Judy Chu, D-Calif., chair of the Congressional Asian Pacific American Caucus, said Lee will be deeply missed. But Lee also had his critics. Some accused him of not doing enough to create affordable housing as housing prices in the California city of roughly 865,000 surged, and as tech companies, looking to take advantage of a temporary tax break brokered by Lee, moved in and drove its economic boom. Others have taken issue with Lee’s staunch support of San Francisco as a sanctuary city.